Shaun Winter's local, organic hot sauce transforms an obsession with heat into a mission to save heirloom seeds, one bottle at a time. When Shaun Winter signed up for a few seasons of farm work in Northern California in 2009, he never expected his love of the land would transform into a fascination with commercial hot sauce. 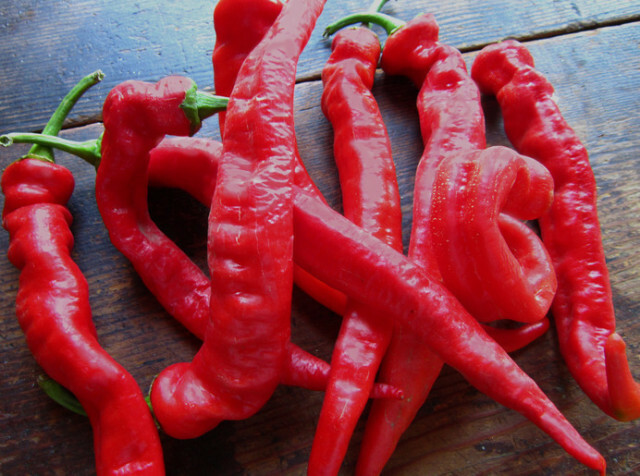 After finding a lone hot pepper plant in a Humboldt County farm's field of sweet Jimmy Nardello chiles, Winter spent several years breeding plants to cultivate the perfect pepper. The resulting powerhouse behind his Hot Winter sauce? Winter's own cultivated varietal, the Hot Winter Pepper. Back in Portland, this new sweet-hot chile is blended with several heirloom peppers from small-scale local farms, then fermented for maximum flavor impact. 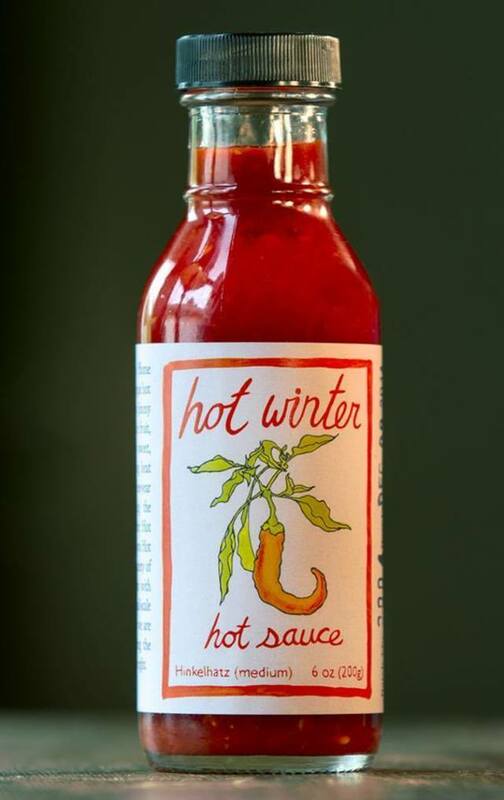 Hot Winter is available in four heat levels—the original Hot Winter pepper, a milder blend with poblano peppers, the Hinkelhatz (a medium-heat sauce blending an heirloom Pennsylvania Dutch pepper and the Hungarian Hot Wax), and the extra-hot Santa Fe Grande (a blend of Bulgarian Carrot peppers and golden cayenne). The Hot Winter pepper in all of its glory. Each bottle of Hot Winter is part of a campaign to save heirloom seeds and partnerships with small-scale, organic agriculture—and it also tastes really good, a slightly sweet, slow-burn with the familiar fermented kick of Sriracha. While the 2012 bottles are currently sold out, the next batch of Hot Winter's heirloom chile sauces will be arriving at Food Front, People's CoOp, and all New Seasons locations this summer. Want to get your hands on a hot bottle of the next batch? Support the project via Kickstarter to pre-order and make sure the seed-saving sauce is available for all, year-round, and visit hotwinterhotsauce.com for more information.